How to get rid of this?.To get rid of a pest problem, inspection is the first and foremost step. 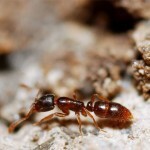 Bug-Man can come periodically to monitor your home and help prevent an infestation with ANTS. DON'T WAIT UNTIL IT'S TOO LATE!Contact us for a FREE estimate today!